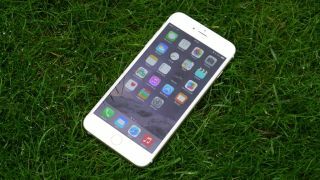 Apple’s iPhone range hasn’t been entirely devoid of problems over the years, with one of the most notorious being ‘Bendgate’ – the issue of iPhone 6 and iPhone 6 Plus handsets bending. It’s also an issue that it turns out Apple may have known about before selling the phones. According to information made public in a court filing obtained by Motherboard, Apple found that the iPhone 6 was 3.3 times more likely to bend than the iPhone 5S, and the iPhone 6 Plus was 7.2 times more likely to bend, yet when the problem came to light Apple maintained that there were no engineering issues. Long after Bendgate, another issue was faced by the same iPhone models, namely ‘touch disease’, which referred to the touchscreen only working intermittently, and which was seemingly caused by bending associated with normal use, such as putting the phone in a tight pocket. Apple did finally go some way to acknowledging the issue – or at least making amends for it – by reducing screen repair costs for affected handsets from $349 (around £260 / AU$460) to $149 / £146.44 / AU$228.95, but many users weren’t satisfied by this, which has led to an ongoing lawsuit and this new information coming to light.